This model is a VacuEasylift VM180 with a door turner tool for lifting and tilting panels 90°. The heavy door panels are easily lifted with VacuEasylift equipped with two adjustable suction feet. The panels are lifted from pallets, tilted 90° and then placed on a bench. This application can handle weights up to 80 kg. Read more about our solutions for handling doors by clicking here. Boxes, sacks, bales and drums are only some of the applications that can be easily and safely handled with VacuEayslift vacuum lifter. 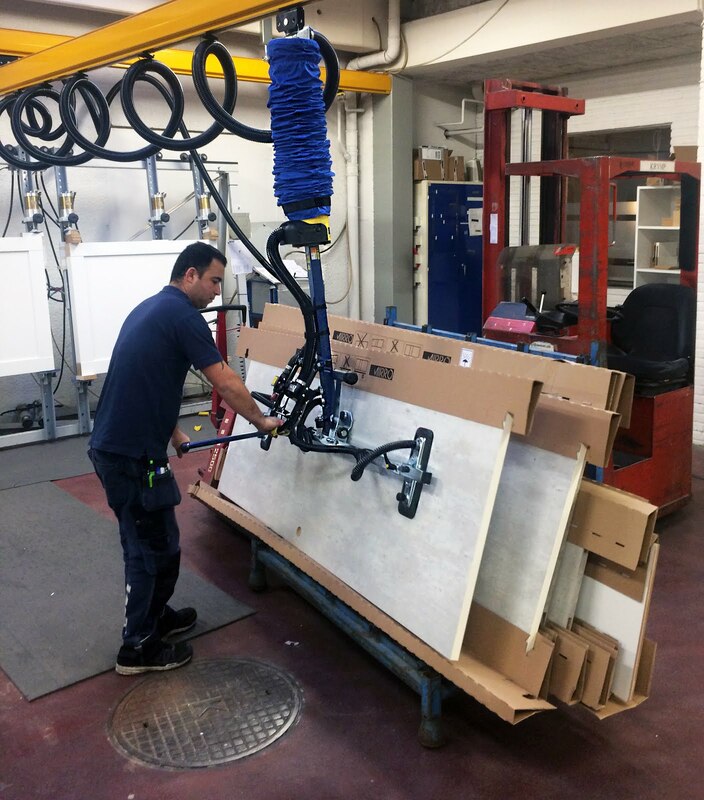 Click here for more information about our various lifting solutions with VacuEasylift.